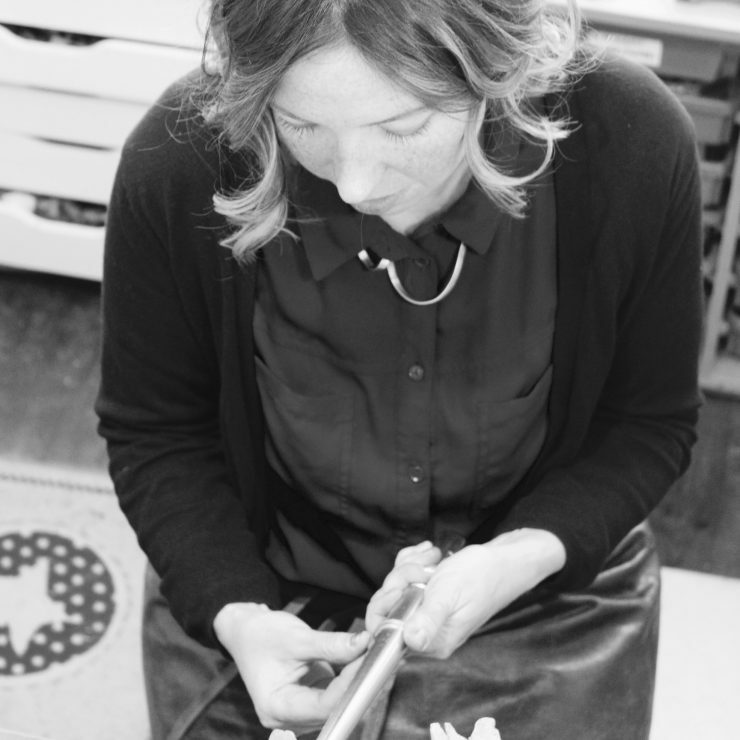 Jodie Hook’s passion for jewellery making started when she was a young girl. 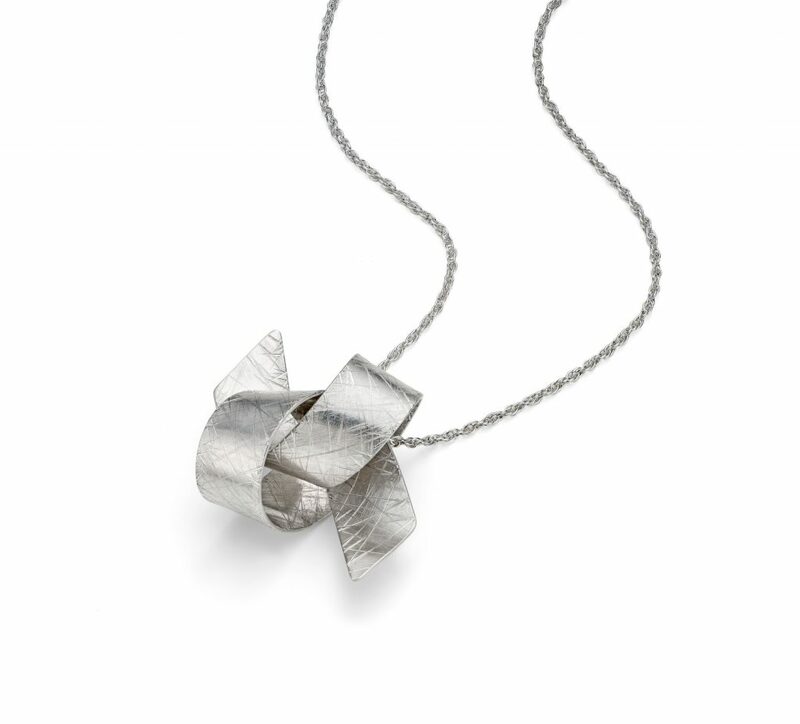 At the age of 17, her art teacher introduced her to the wonders of working with silver and it was at this point that her creative fervour in the world of jewellery was cemented. 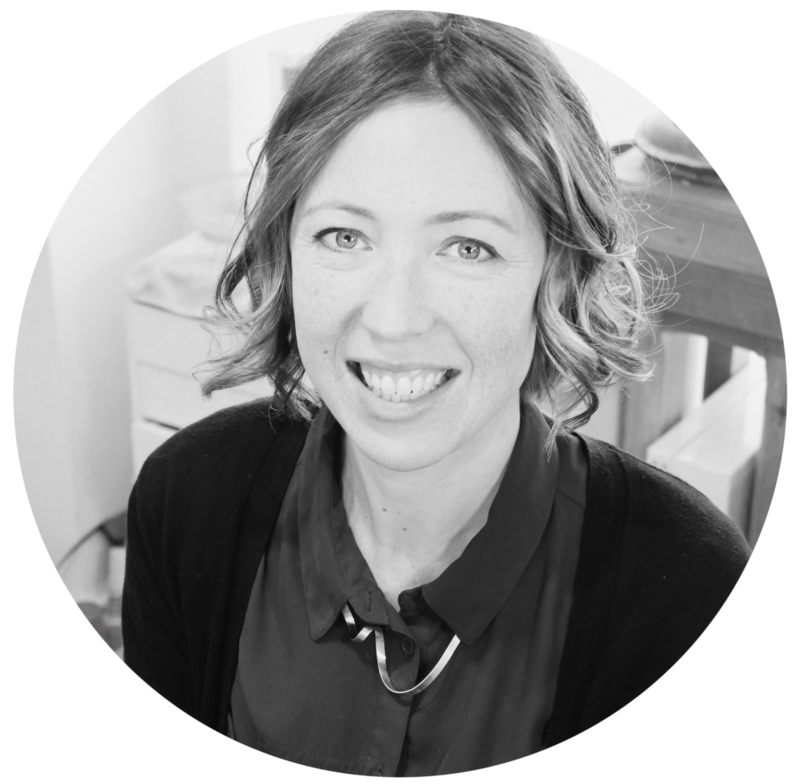 After studying a degree in Jewellery and Silversmithing at the School of Jewellery in Birmingham, Jodie moved to London to pursue her dreams. Here, she spent 7 years working for fashion jewellery designer Scott Wilson. She created collections for many trade shows including London Fashion Week. Jodie also produced one off commission pieces for major fashion houses and celebrities including Pringle, Swarovski, Robbie Williams and Kylie. 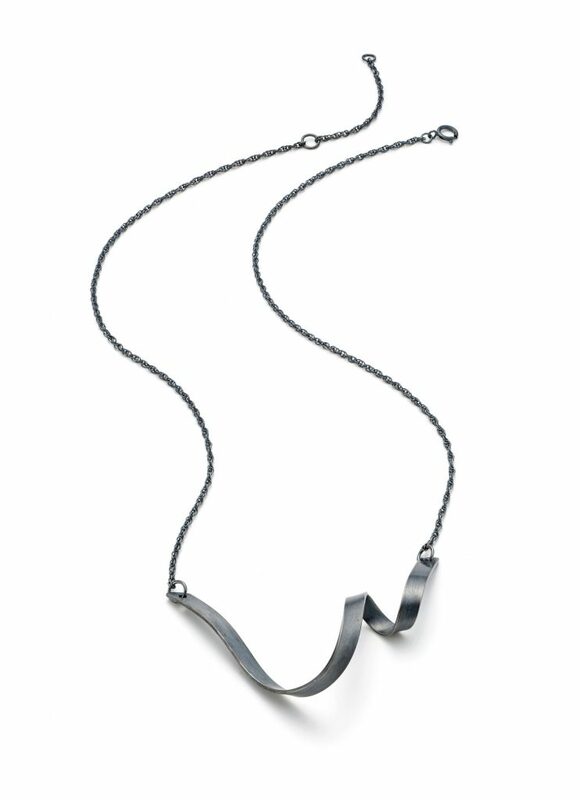 Jodie Hook’s signature range is the Ribbon Collection. This range is inspired by the moment you unravel a roll of satin ribbon. Watch it twist and loop and as you lift it a knot forms. 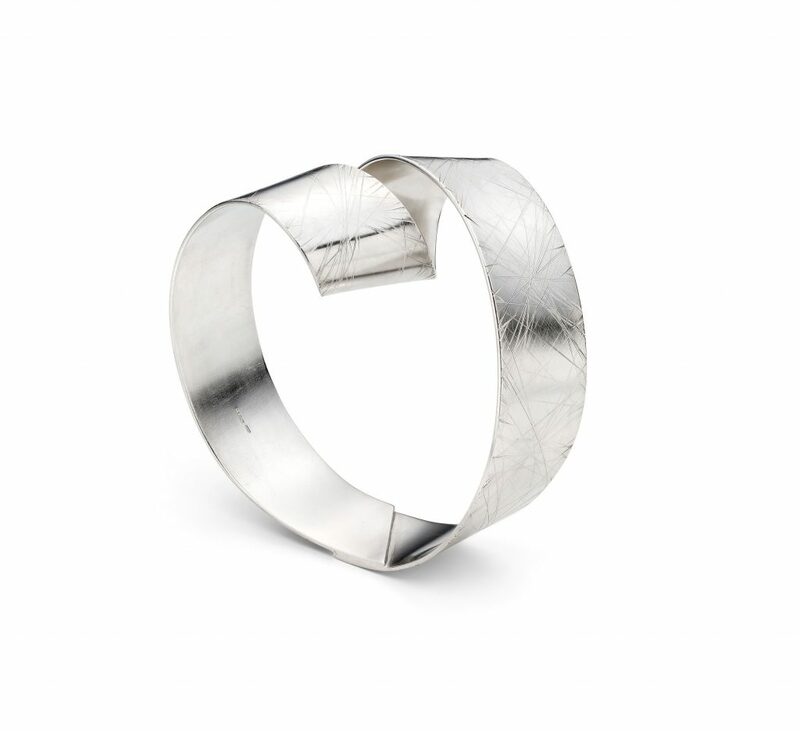 She manipulates the metal so it sits comfortably around the hand or body. Graphic clean lines feature strongly in Jodie’s work with influences including origami and fabric manipulation. The range now includes a selection of pieces with semi precious stones and new surface decoration. 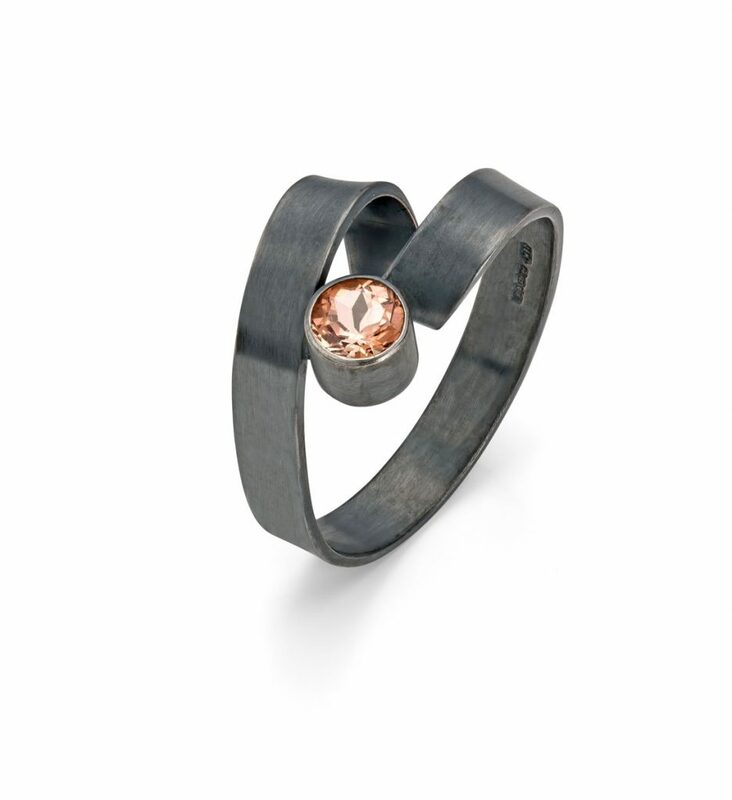 Ultimately, Jodie seeks to create wearable jewellery that makes a statement on and off the body. She celebrates her 10th year in business this year so we are delighted to be bringing you her Ribbon Knot collection. Follow Jodie on Instagram.